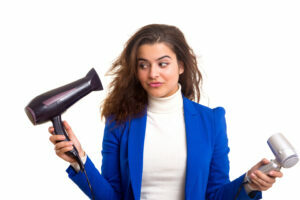 Thinking about buying a new hair dryer or replacing your old one? We’ll talk you through making the right choice for your hair type. 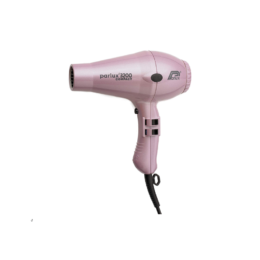 Hair dryers start from as little as £13.99 all the way up to an eye-watering £349. Our mission? To find out if spending more really delivers better results. So whether you’re going on holiday, on a budget and off to uni, or looking for an investment buy built to last, there’s no need to compromise on quality. Look at our review section for the best products all our reviewers tried. Let’s keep it simple – higher wattage equals more power and, hey presto, faster drying! The most powerful, such as the lightweight Elchim 3900 Healthy Ionic (Amazon, from £75) deliver a whopping 2400 watts. Some, such as GHD’s Aura (John Lewis, £145) even promise a quieter drying experience. A more powerful product may be a little more expensive but the extra investment can be so worth it. It’ll reduce your drying time and your hair’s exposure to damaging heat. Curly-haired girl or straight and sleek? Whatever your hairstyle and texture, whether you wash and dry daily or only style for a big night out, you’ll need a model that’ll minimise your drying routine and give you great results every time. For home styling you should choose a dryer light enough to handle comfortably with a long cable – over 2.5m is ideal – for maximum flexibility. 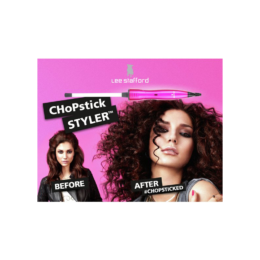 Look for multiple heat and speed functions plus diffuser and styling attachments and a ‘cool shot’.Happy giving your hair a rough dry just to take out the excess moisture? Consider a quality, mid-price model such as the ultra-lightweight Label M Tourmaline Dryer by Toni & Guy (Amazon, £69) used at London Fashion Week. And if you never set foot outside without your hair perfectly coiffed you may want to spend a little more on a salon-professional product with multiple heat and speed settings, a ‘cool shot’ button plus a variety of accessories. First hair dryer and no cash to splash? Read the lower budget hair dryer reviews. Ionic hair dryers are said to have revolutionised the art of blow drying for a super-fast finish, creating millions of negative ions – great for combatting static and creating smooth, swishy tresses. Check out our reviews to see if they live up to the hype. 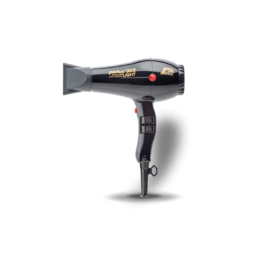 Ceramic hair dryers have been developed with a ceramic element, which heats up quickly and helps even heat distribution. They emit infrared heat – less damaging than traditional metal heating elements. So, a big plus for weak or damaged hair and for daily dryers. Keratin Protein, Argan Oil or Diamond infused ceramics will be even kinder to your hair, promoting extra shine and bounce. Ideal for flyaway hair, this nourishing technology will help you fight the frizz. Titanium element hair dryers are a good, lightweight option. Combining high power with high, consistent heat they deliver a fast, smooth blow dry but be aware they may be too intense for finer or more fragile hair. 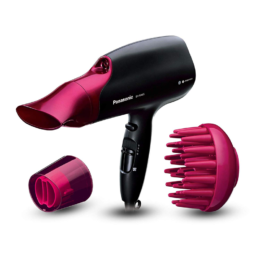 Tourmaline hair dryers emit infrared heat and negative ions, allowing a faster drying process. The hair withstands higher levels of heat without damage. Result – a more radiant finish. Nano technology aims tiny, nano-sized water particles at your hair to lock in moisture, prevent overdrying and leave a smooth, high-shine finish. The reviews from real users on this site should help you take the drama out of drying your hair.